PALMDALE – Lilia Galindo and Felipe Reina have been appointed by Governor Brown to serve on the Antelope Valley Fair Board, according to an announcement by Assemblymember Steve Fox (D-Palmdale). 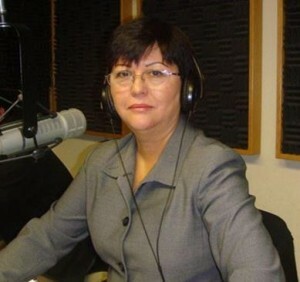 Lilia Galindo is the host of popular Spanish language radio talk show Café con Leche. Galindo also has worked tirelessly for Antelope Valley communities as a Board Member of the Antelope Valley Hispanic Chamber of Commerce, a member, Palmdale Sheriff Captain’s Community Advisory Committee; and the City of Palmdale Hispanic Outreach Committee. She is President of the Antelope Valley Unincorporated Area, League of Latin American Councils (LULAC). Felipe Reina is a Management and Program Analyst for the Federal Aviation Administration. He has an Associate’s degree in graphic design from the Fashion Institute of Design & Merchandising, and is an active supporter of organizations that promote racial diversity. The Antelope Valley Fair Board is comprised of four groups charged with different responsibilities. These responsibilities include educating the public about nutrition and the role of agriculture, managing the fairgrounds year-round and for maintaining the area’s agricultural heritage while protecting the environment, raising funds to support the fair’s catering, concessions and scholarship efforts, and oversight of the fair and its functions. For more information, visit www.asmdc.org/fox. 1 comment for "Galindo and Reina appointed to AV Fair Board"
What does this government agency do for the residents of the Antelope Valley? Are they married to one another?